An excellent year of 2017 ends and we, the LN Family, move forward towards another year with great hopes on our shoulders. 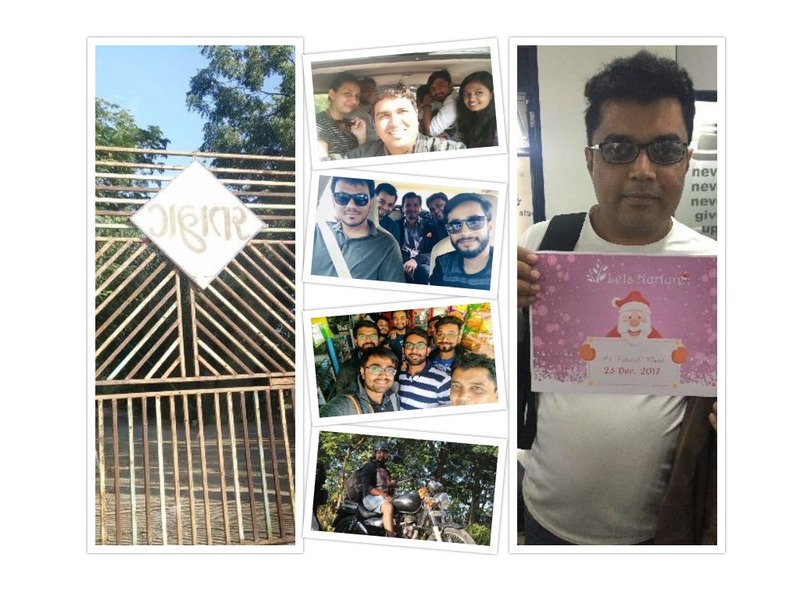 After spending our skills and expertise in the areas of custom mobile app development, digital IoT Solutions, web applications and development, now was the best time to cherish the week last week of December, the Christmas time. 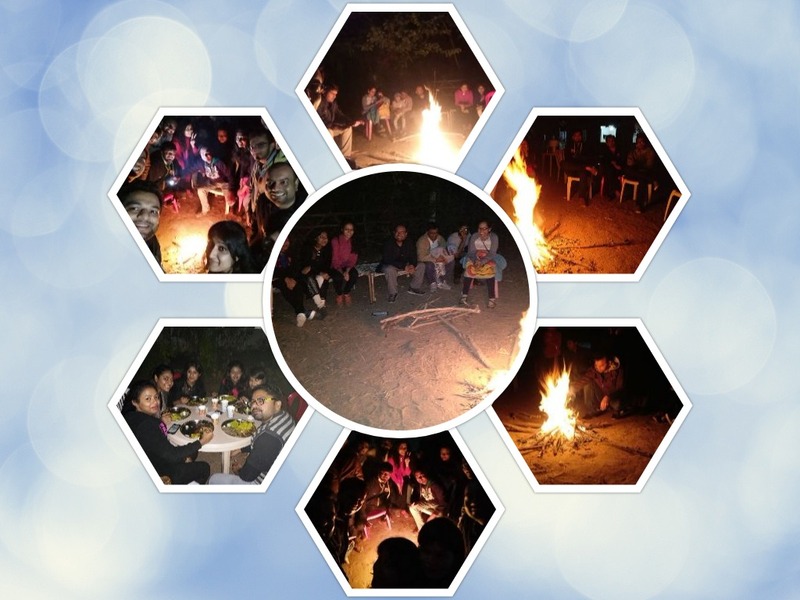 As a consequence, LetsNurture management team along with the HR department planned a picnic with a purpose of employee engagement through a night stay at Gantar, a place nearby Nalsarovar, extremely famous to take pictures and to hang out during winters. Nalsarovar is a world famous bird sanctuary which is around 60 kms away from Ahmedabad. As most of us would find it hard to spare time in our busted routines throughout the year, we planned a picnic to this amazing place. Every detail about this tour was announced by HR department a week before and our family was equally excited to participate by coming along. That was indeed a boost and hence, we had a shown ON from that very moment and plans were put in place. On a freezing Saturday, two days before the Christmas 2017, our HR took the responsibility to aggregate all the required details in their to-do list. Cricket and badminton kits, food and first aid kits were packed and cars were ready by the noon time. The nurturers were equally ready to roar and everyone gathered at our LetsNurture home office with their backpacks. You can straightaway tell from the faces how exciting it was meant to be. So we left at 3 PM with a feeling to end this year with a great joy and laughter along with our family members. We reached Gantar NGO, where we meant to stay over the night, around 4:30 PM. Gantar NGO has a nice place to stay with all the required things like a playground along with cool breeze and peaceful environment for which we city people usually crave. No sooner we reached there, a refreshing breakfast was ready for all of us as one can find it much needed after a small journey. The sports enthusiasts did not waste their time and got along with what they had in mind. They played cricket for almost two hours and this was meant to find out the hidden talent in this domain as the corporate tournament is imminent in which we have participated. The teams were equally divided and they got a chance to showcase their talent. People who were not the part of Cricket, became part of badminton and other sports like hide-and-seek, kho-kho, which are rare these days but have roots drenched in our culture. In the end of this sports activity session, everyone had a great smile and moments to cherish during these two hours of play. This was just a sizzling starter sort of thing before the main course comes in. 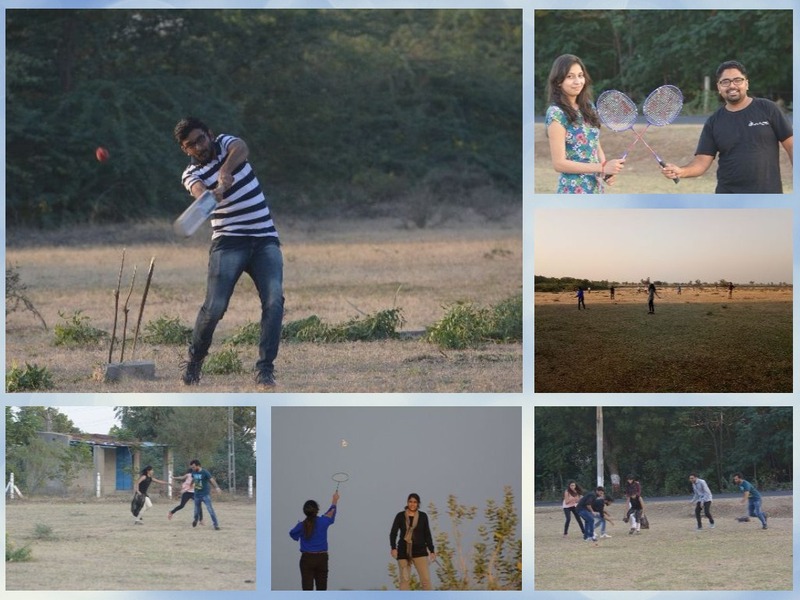 After an active session of sports and games, it was a time to relax and settle down a bit. We nurturers did it exceptionally well. 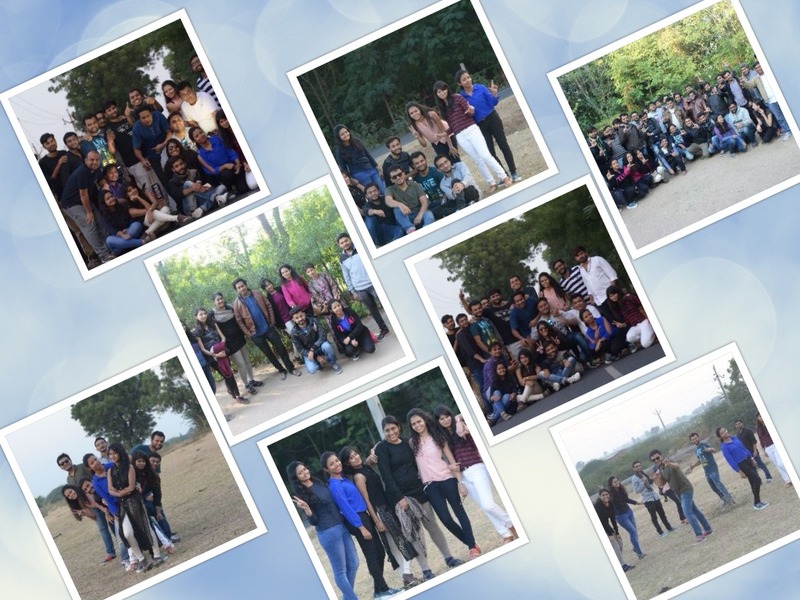 We gathered and took awesome pictures during the time and our respected CEO, Mr. Ketan Raval, became a part of this too. There were smiles all around with laughter and jokes that everyone of us would cherish for our lifetime. The sun goes down and after a while cold started to gather its pace. As part of our plan, it was the ideal time for a Bonfire. So everyone of us gathered around it and it was the time to execute our next activity. As many new joinees and interns have been a part of our happy family in recent months, we decided to give opportunity to everyone to speak a few things about themselves which are unknown to many of us. And the plan hit the bull’s eye. We came to know that one intern from Bhubaneswar has already been a part of a video album during her old days. Whereas, senior people of LetsNurture, who have been a part of this family for more than 5 years, talked about their journey after completing the graduation and starting their careers with LetsNurture. All in all, it was a surprising and inspiring session to know your colleague. Who will not be in love for delicious organic food if one is used to eat junk or processed food item while living in a city like Ahmedabad? Menu in the dinner included Baingan Bhartha, Bajra Rotla with Ghee, Jaggery and Buttermilk, Garlic Pickle, Khichdi and Kadi. It was a fitting menu to enjoy in a cold December and we all were mutually in awe of it having a warm and loving service by the local people. The session of Bonfire was not over just yet. After completing the dinner, our CEO gave a brief speech along with the Project Managers and Team Leaders who provided a fruitful insight about the Projects and the effectiveness of the a proper execution. It was a thorough discussion that was needed in terms of getting motivation and much needed things that newbies are unaware of. Now, it was time to watch a movie together. A projector was in place so that we can watch it effectively on a giant screen. Moneyball was the movie and the actor of it does not need any introduction- Brad Pitt. It is a sports/ drama story about Major League Baseball in America, where Oakland’s Athletics Baseball team was in dire need of makeshifts after their woeful season in 2002. The movie is all about showcasing the skills required being a leader and bold decisions in making necessary changes to make the team competitive while bonding the team together. During the intermission, meant to be a longer one than normal, we had a midnight cooking session that was also filled with laughs all around. Our so called ‘MasterChefs’ Krish Nair, Ajarudin Gunga, Milan Maratha, Krunal Sojitra and new joinee Ankur Upadhyay volunteers for this initiative. They cooked a different maggie with the use of all the vegetables which were available in the kitchen. No one really thought of maggie being that delicious, but Kudos to the Chefs to hit the bull’s eye. Many were left drooling and craving for more. 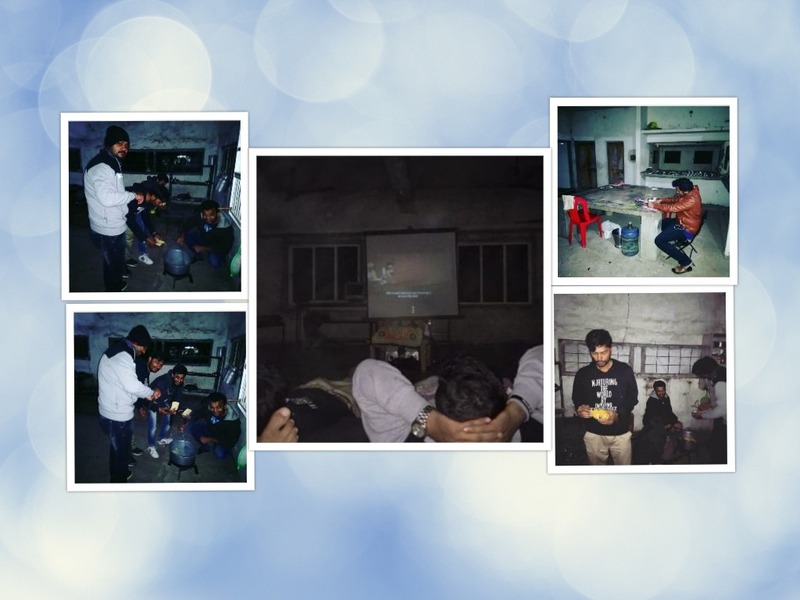 After finishing the movie, we all went to bed so that we could wake up in the morning as we were scheduled to visit Nalsarovar early in the morning to see its beauty. We all woke up together around 6 AM and got freshen up. We were served breakfast along with tea or coffee. This time direct from the stove Theplas and Poha were provided. The joy of having such an organic food was about to end there after the completion of it. Nurturers Go Marching ON…. ON…. ON…. We marched on with our troops to Nalsarovar and we were in love with it having a glimpse of it from the distance. It was never ending beauty along with peace, a sight worth seeing to remember till the sky falls over us. There were birds all around making rare and beautiful sounds that are so rare. Some of them were the rarest breeds we saw for the first time in our lives. 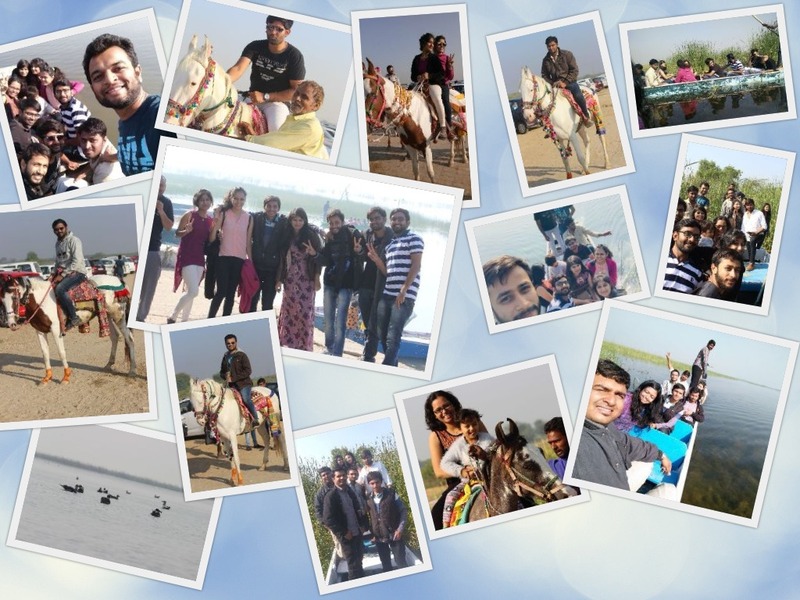 We enjoyed ourselves to the fullest as we got a chance to do boating and horse riding too. Words will not be enough to give justification how wonderful the trip turned out to be. Our purpose of placing employee engagement plan proved to be more than a success as we had many interns and fresh faces on board. We returned to our home office to put an unfortunate end to this fantastic trip to Nalsarovar but it has given all of us immense pleasure in staying together and cherishing so many good memories. A special thank you to the locals who served us brilliantly and for the delicious food that will be craved for sure for a few weeks at least. Being a prominent IT outsourcing company in Ahmedabad, we at LetsNurture, have always understood the importance of bringing quality in our work and communication and its the reason LetsNurture has always thrived to deliver supreme quality to our clients and employees. 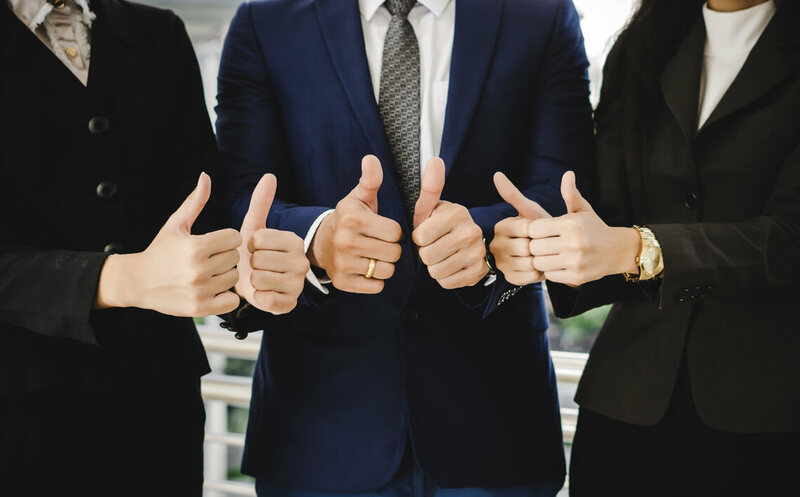 If you are looking for a firm where you are not only bound to work but also have regular chance to cherish moments in events and festivals, LetsNurture is definitely the right choice. Join our amazing team. 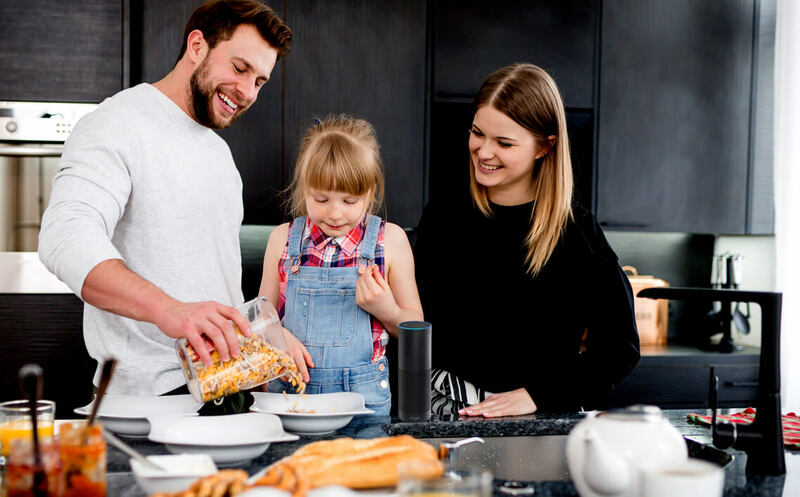 « How Voice Enabled devices are set to dominate your life in 2018?